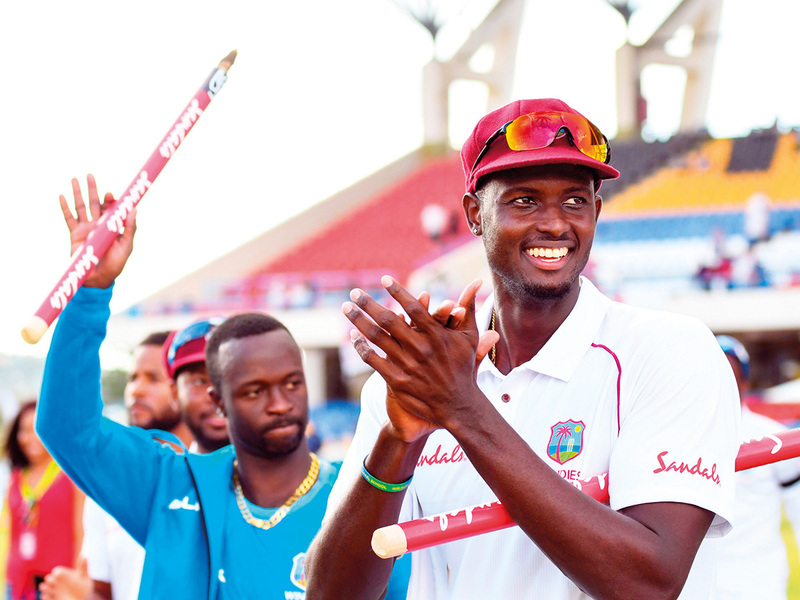 North Sound, Antigua: Frank discussion among the players after a short but dismal series against Bangladesh last year proved a turning point for West Indies, captain Jason Holder said on Saturday after his team clinched a series win over England in the Caribbean. West Indies won the second Test by 10 wickets in Antigua, taking an unassailable 2-0 lead in the three-Test series. “I think we’re hungry for success. Credit to the boys for sticking to the task,” Holder said at the victory presentation. The transformation came after West Indies lost both Tests against Bangladesh in November and December. The result in the second test was especially pitiful, defeat by an innings and 184 runs in Dhaka. Holder missed the tour due to a shoulder injury, but was kept apprised of things. “After the tour of Bangladesh the guys had a really long, hard talk in the dressing room,” Holder said. “It was something that was really needed. We wanted to get some honesty in the dressing room. We touched on a few issues.” Holder and several others were brought back for the current England series, including number four batsman Darren Bravo, who ended a two-year exile after a falling out with the team’s governing body. The classy left-hander has a Test average of almost 40 and though he failed twice in the first Test, he was key in the second. Bravo batted patiently on Friday and Saturday, frustrating the England attack by occupying the crease for 342 minutes for 50 runs, the third slowest half century in Test history. His performance, among others, leaves Holder hopeful the good times might be back for West Indies after years in the doldrums. “Hopefully we can stay together for years to come. “We want to be consistent, move up the rankings,” he added with his team currently languishing eighth in the Test rankings. Trailing by 119 runs at the start of the second innings after Darren Bravo’s ultra-patient half-century extended the West Indies first innings total to 306 in the morning, England were demolished for 132 with Roach and Holder claiming four wickets each.